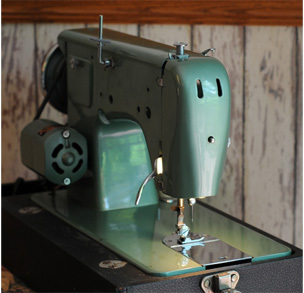 if you appreciate beautiful engineering, it is hard not to appreciate this Morse sewing machine. It is all metal and heavier than the boat anchor on our old boat. 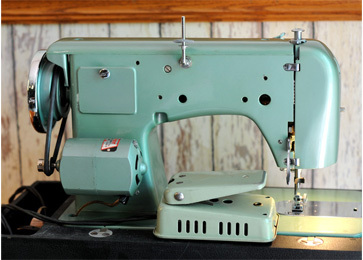 A label on the front indicates it is precision manufactured in Japan. It was made in Japan and seems to have the lasting qualities of a Toyota. 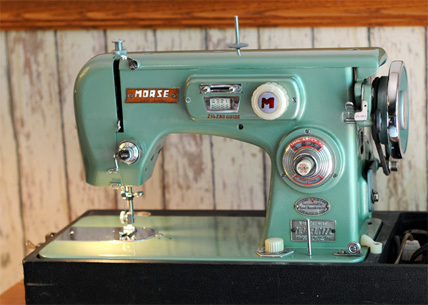 The label indicates the machine is Morse World's Best Model MZZ Precision Manufactured Made in Japan. The base is stamped Mod. TZ.7 and 16878 is stamped on a data plate. The base casting contains Toyota and ZA003. The image above shows the original motor and foot control that came with our MZZ. It was necessary to rewire the motor as the wire was brittle and bare wire was exposed. During the motor rewiring process, a small bare copper lead going to a brush burned open and had to be replaced. We opted to repair wire rather than replace the motor with a non-green model. The spool pin folds down. 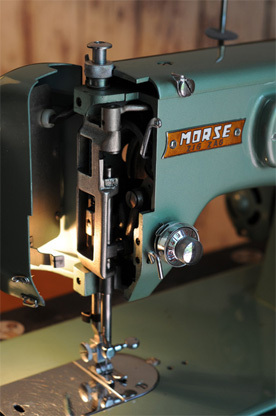 The presser foot is 1/2-inch wide and has lots of feed dogs for improved straight-stitch sewing. 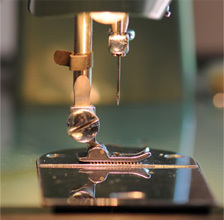 The foot width makes it easier to sew a 1/4-inch seam allowance. 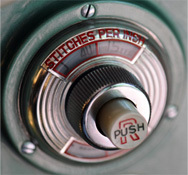 Stitch length is regulated by turning the knob. Depressing the white button causes the machine to sew in reverse. 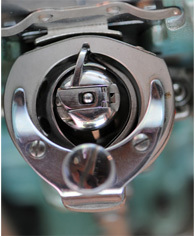 A vertical bobbin is contained inside a removable bobbin case. Bobbins are accessed beneath a slide plate. 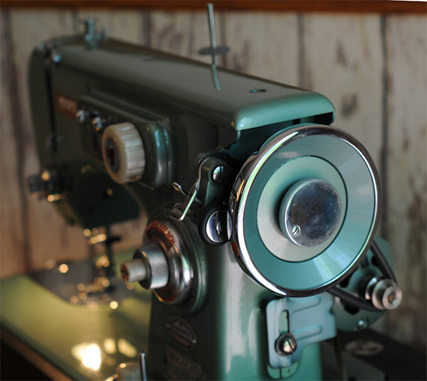 Some claim that vertical bobbins form better stitches as the thread doesn't have to make a 90-degree turn coming off the bobbin.